There are 24 Memory Care Facilities in the Culver City area, with 1 in Culver City and 23 nearby. The average cost of memory care in Culver City is $4,395 per month. This is lower than the national median of $4,650. To help you with your search, browse the 17 reviews below for memory care facilities in Culver City. Better rated regions include Santa Monica with an average rating of 4.0 out of 5 stars. Caring.com has helped thousands of families find high-quality senior care. To speak with one of our Family Advisors about memory care options and costs in Culver City, call (855) 863-8283. Memory care is a way of life for approximately 775 people in Culver City who are aged 65 or older and have been diagnosed with Alzheimer's disease. By 2030, Los Angeles County, along with the rest of California, is expected to see the number of dementia cases increase by some 29 percent. If projections are correct, Culver City could have more than 1,000 of its 39,283 residents living with an age-related cognitive impairment. Currently, 25 Residential Care Facilities for the Elderly (RCFEs) that provide memory care are operating in Culver City and nearby Los Angeles. 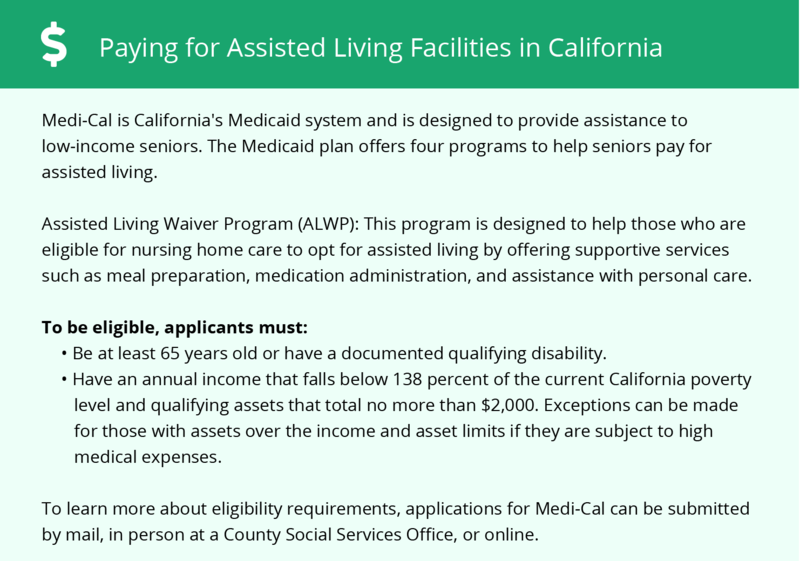 These facilities are regulated by the California Department of Social Services and are required to focus on staffing, training and resident care programs. Thanks to the pleasant climate, Culver City has a Sperling's Comfort Index of 88 out of 100, which is far above the national average of 54. The temperature stays comfortable all year with January lows around 50 degrees and July highs reaching 75. Culver City receives only 14 inches of rain. This is well below the national average, but it means that residents enjoy 76 extra days of sunshine. One problem for Culver City is the poor air quality, which received an F grade for the number of high-ozone days and the overall particle pollution. This environment can worsen respiratory illnesses in seniors, so families should take the patient's overall health into consideration before selecting a memory care facility. Culver City is about as safe as most American communities. The rate of violent crimes was slightly higher than the U.S. average at 36.6 versus 31.1, and the rate of property crimes was 54.5 compared to 38.1 nationally. Additionally, RCFEs must have strong security measures to keep patients safe, so family members don't have to worry about them. The Culver City area is home to many world-class medical facilities, including the Good Samaritan Hospital, the Dignity Health - California Hospital Medical Center and the Alzheimer's Disease Research Center at the University of Southern California, in the event of medical emergencies or illnesses. Memory Care costs in Culver City start around $4,395 per month on average, while the nationwide average cost of memory care is $4,798 per month. It’s important to note that memory care rates in Culver City and the surrounding suburbs can vary widely based on factors such as location, the level of care needed, apartment size and the types of amenities offered at each community. 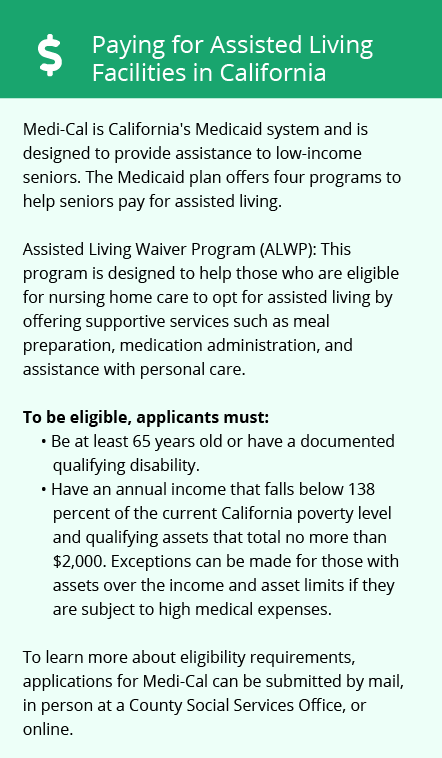 Culver City and the surrounding area are home to numerous government agencies and non-profit organizations offering help for seniors searching for or currently residing in an assisted living community. These organizations can also provide assistance in a number of other eldercare services such as geriatric care management, elder law advice, estate planning, finding home care and health and wellness programs. To see a list of free memory care resources in Culver City, please visit our Assisted Living in California page. Culver City-area assisted living communities must adhere to the comprehensive set of state laws and regulations that all assisted living communities in California are required to follow. Visit our Memory Care in California page for more information about these laws.